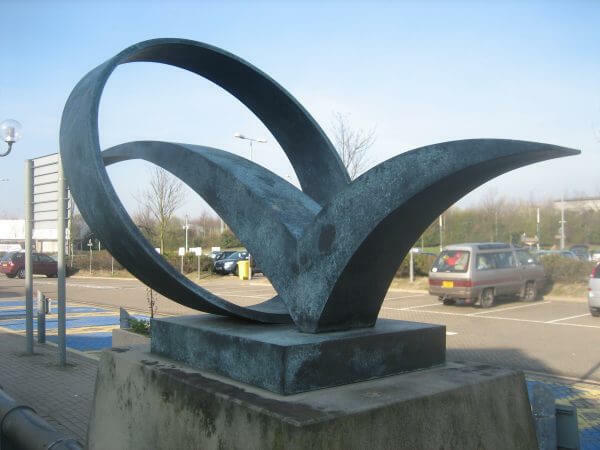 What a huge privilege to be commissioned by EUROTUNNEL to produce a design and then a bronze sculpture for the Opening of the Channel Tunnel in 1994 . I had met Alistair Morton, the then CEO of Eurotunnel, at a medical dinner at the Berkeley Hotel in 1992 held by the Chelsea Clinical Society of which I am honoured to a member. I was subsequently invited to discuss the opening of the tunnel, scheduled for 1994, with those who were tasked with organising this great and historical occasion. 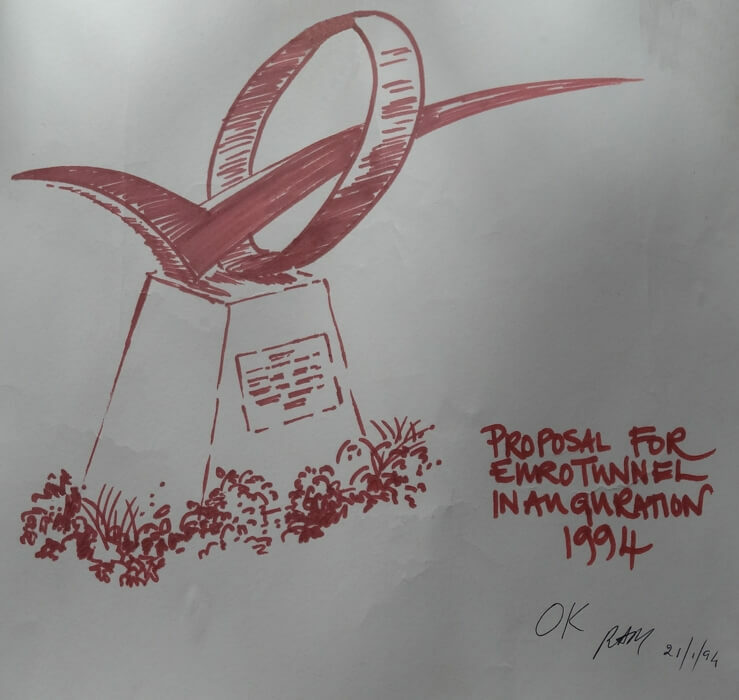 The plan was to have a major sculpture for the inauguration, but over time the ideas became less and less heroic as the company was short of funding and in due time a diminutive design was chosen. We were asked to produce this bronze sculpture with a granite base and a cast bronze plaque with words to celebrate the occasion. 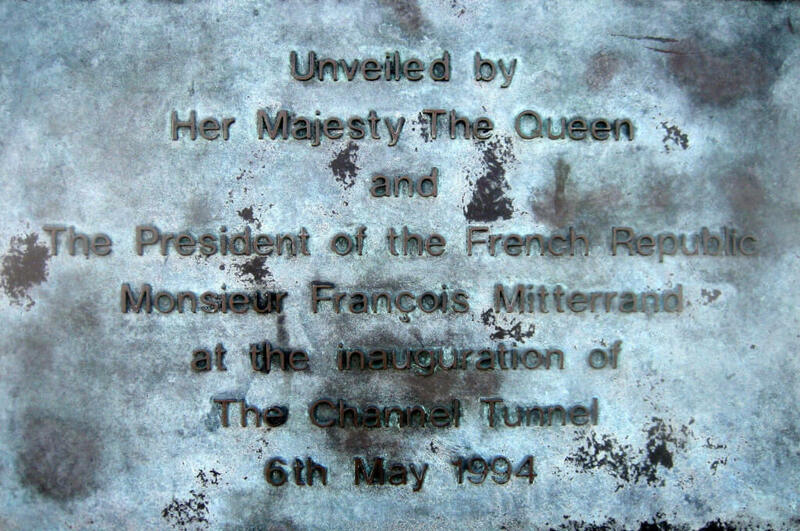 On May 6th 1994, with the sculpture duly installed and covered with a large box complete with electric doors, we were invited, with about 3000 others, to Folkestone to watch HM The Queen arrive with President Mitterand. Seated together in the Royal Daimler they emerged from one of the carriages of Le Shuttle train, having just inaugurated the opening at the French terminal. They had a superb bronze there designed by a Russian ballerina! The French had definitely outplayed us! No matter, everyone was invited to an amazing lunch; a Eurotunnel train was actually driven into the marquee and then we were all re-positioned to be seated in a semi circle of stands around our sculpture. We held our breath and were very excited. HM The Queen made a speech to which President Mitterand graciously replied and they joined hands to press a switch which opened the electric doors. Our sculpture appeared, the crowds applauded and the deed was done. The UK was officially joined by land to the Continent of Europe. 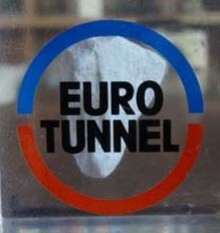 A sketch of the original design with the signed Eurotunnel approval. This piece of chalk, encased in plastic, came from the middle of the tunnel on the very day that the English and French broke through to meet in the middle of La Manche or The English Channel. My then wife Auriol, and I were being shown the inner workings of the drilling and were 10 miles in under the ocean!